Description Nov. 11, 1983 dedication of the second library located at 4th & D Ave. Negative in file. Librarians Carolyn Peake in blue dress and Mary Dimick at her left. 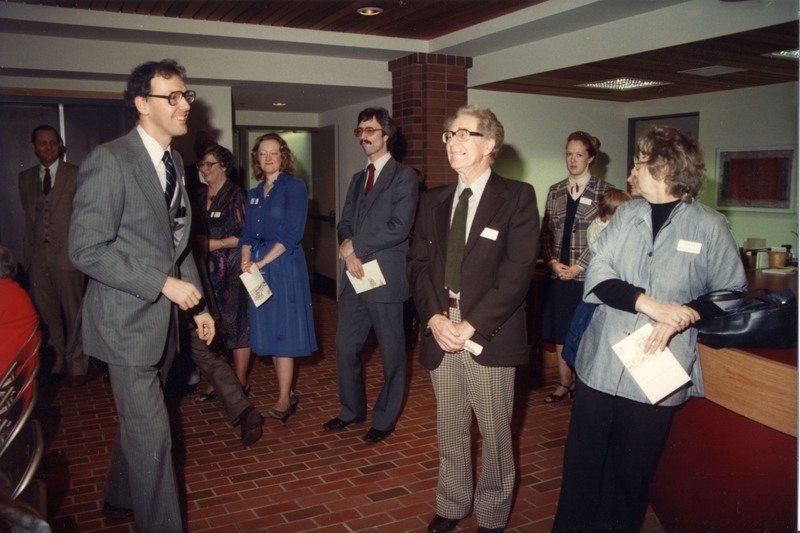 Steve Turner, library director, in foreground, left.